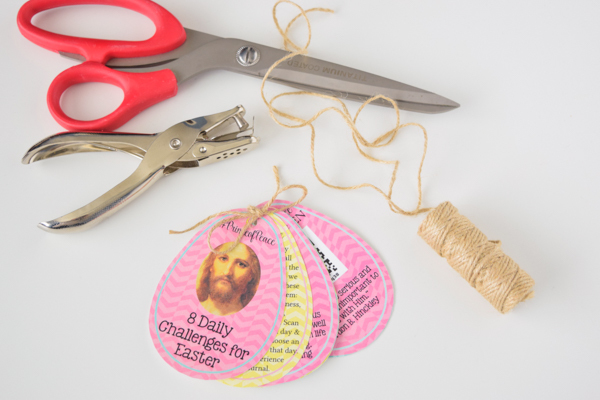 These free printables will help your family, Young Women, or Relief Society have a Christ-centered Easter! Includes a tag for each of 8 days with a different focus. 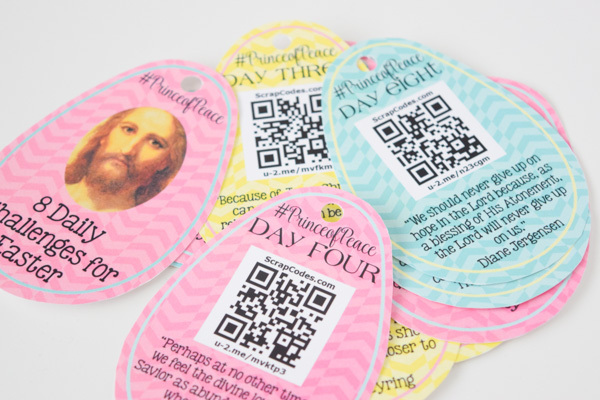 Use the QR code to find a wealth of inspiration each day to learn more about the #PrinceofPeace. 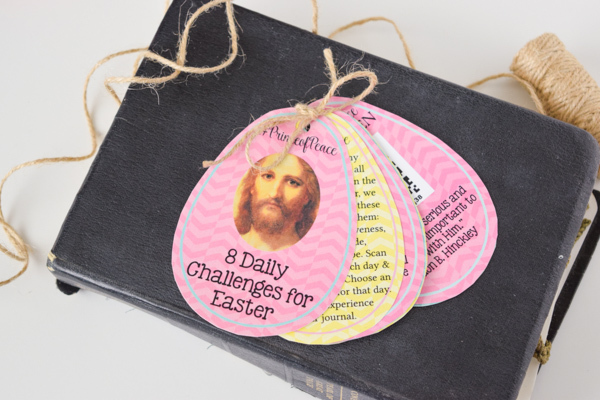 I am so excited to be sharing a special project I’ve been working on for Easter to share! This weekend, the LDS Church released their official Easter video with the new focus and theme for this year. And I’m loving it! This Easter, the focus is on the Savior as the #PrinceofPeace, with a focus on eight traits that the Savior had that we can all learn from: Faith, Compassion, Prayer, Forgiveness, Repentance, Word of God, Gratitude, and Hope. I’m so grateful to work with Mormon.org and Bonneville Communications to help spread the word! I made a tag for each day. Every day includes a new trait of the Savior to focus on, beginning with Faith. All you have to do is scan the code with a QR scanner app that you can download for free on any smart phone. If you don’t have that available, no problem! Just enter in the web address at the bottom of the code ( you can see it in the pictures, they begin with u-2.me/). You can type that address into any web browser and it will pull up the page for that day. Each day has a scripture, a video highlighting that day’s traits, and then other challenges and thoughts, including other YouTube videos, articles from other bloggers, and printables. I also found Young Women Value Experiences and Duty To God experiences that apply to the challenge for the day. To put them together, all you need are the printables, some ribbon or twine, and a hole punch. I used regular twine and punched a hole in the top of the tags. I thought it turned out so cute! Because they are small, the booklet can easily fit into a purse, backpack, or inside your scriptures. I created a couple of tags that say “For A Very Special Chick” and “You Are Some Bunny Special” a couple of years ago for Easter as well. They were a little smaller and that tag had a small challenge for “Because of Him”. (You can find that idea and those printables here). To create this fun treat, fill up your Easter eggs with candy, chapstick, or whatever goodies you’d like. The eggs hold a surprising amount! 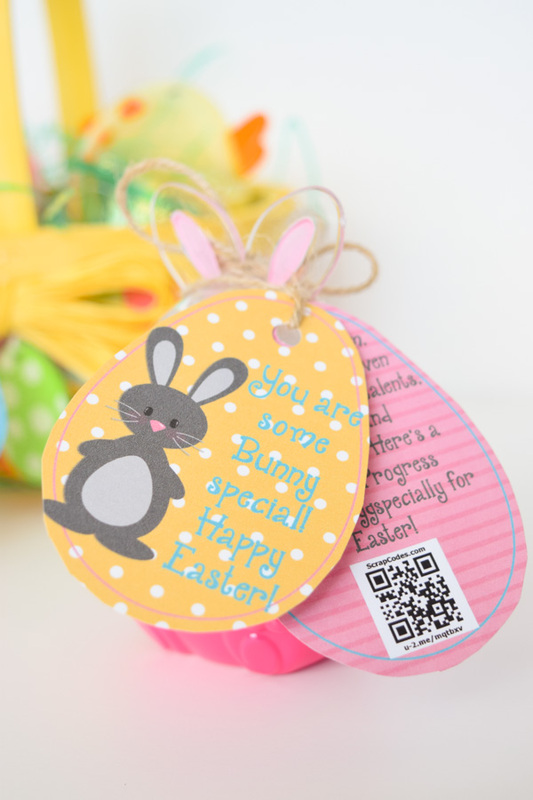 Print your booklet and attach the tag by wrapping the twine around the egg. If you did this for Visiting Teaching or for your family, you could attach one tag to an egg or treat for each day. 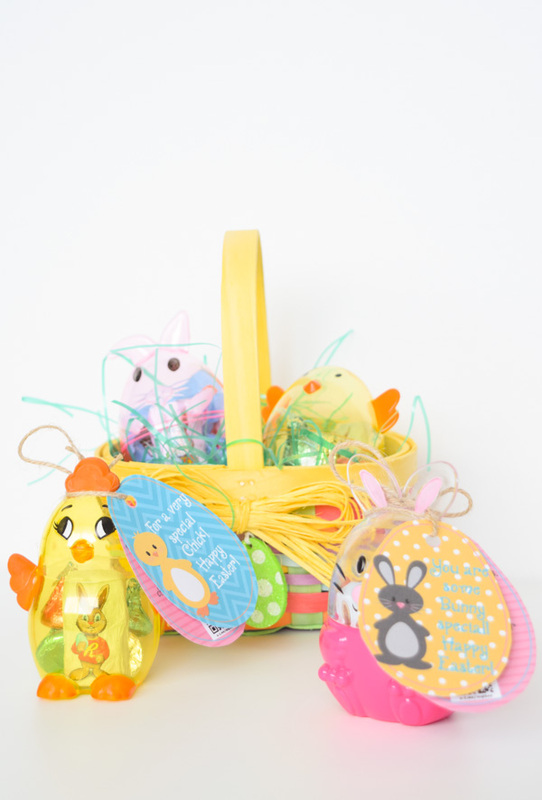 Or pack up a basket with the eggs and tags and deliver it for a special surprise! I’m using these for my Visiting Teaching gals and Young Women. I am so grateful for these Easter messages! My relationship with the Savior has been the one thing to get me through some really difficult times, including infertility and anxiety. I’ve seen His hand and help through many experiences. I’ve sometimes wondered what I would be or how I would have made it through if I didn’t have my faith. Jesus Christ is our Lord and Savior. His example and His love are the only way to find lasting happiness and overcome our most difficult trials. 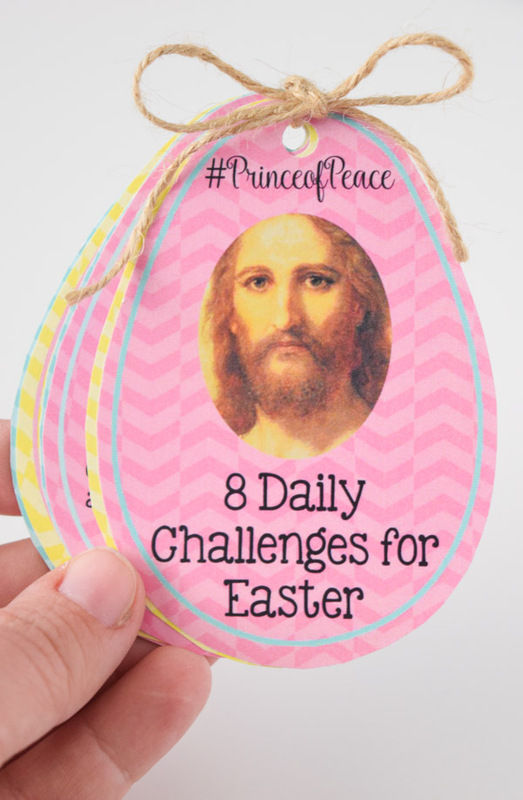 Please follow #PrinceofPeace on social media and find other messages of hope, including videos, stories, and activities that will help your family have a Christ-centered Easter. You can visit Mormon.org to find videos or follow along on the LDS Church Social Media Channels (like Facebook or Twitter).